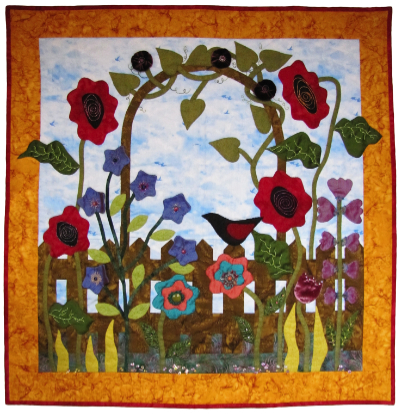 Grandma's Garden Gate Wallhanging handmade by Piecemakers. Pattern from "Piecemakers Country Store" quilt book. Measurements: 38.5" x 38.5"